Vinay Patel is the President and CEO of Fairbrook Hotels. Vinay Patel was born of Indian decent in Malawi, Africa. At the age of 8, he and his family migrated to the United States, where he assisted at the family motel doing everything from housekeeping to working the front desk. Upon graduating from Virginia Commonwealth University with a B.S. in Marketing and B.A. in Business, Vinay continued the family business at a small 15-room motel in Richmond, Virginia. Vinay and his father bought a piece of property in Stafford, Virginia, where no one would give them a franchise because of their lack of experience in a larger and franchised hotel. After being turned down by countless franchise companies, Carlson gave them a chance to build the first Country Inn and Suites in Virginia. Since then, Vinay has built 3 additional Country Inn and Suites and has several in the pipeline. Presently, Fairbrook Hotels owns and operates 11 hotels, including IHG, Hilton, Carlson, Choice, and Wyndham brands. 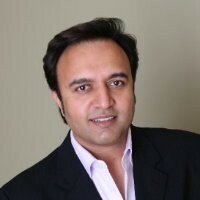 During his career, Vinay has often been recognized for his accomplishments. He has been awarded The Rising Pineapple Award by the Virginia Hospitality and Tourism Association, AAHOA’s Future Hotelier of the Year Award, and the Presidential Award by Carlson for achieving the highest level of operational excellence. Vinay believes in giving back to the hotel industry through his service. In 1993, Vinay joined AAHOA, the voice of America’s hotel owners, and has served on its Board since 2014, being elected Secretary of the Association in 2018. He also serves on the Board of Directors for the Virginia Hospitality and Tourism Association and is the President of the Herndon Hospitality Association. Vinay previously served on the Board of Directors of AHLA and the Loudoun Convention Visitors Bureau.